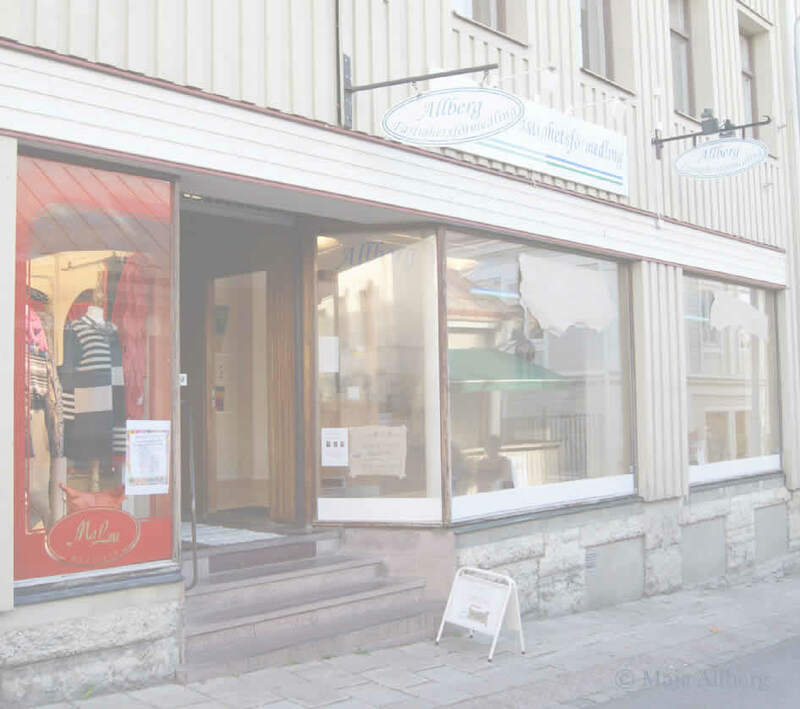 When Allberg Real estate agency had recently shut down its premises exclusively turned into Allbergshallen Galleri & Konstkafé for Konstens vecka [the week of fine arts]. 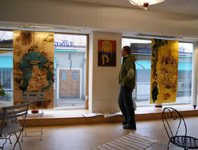 On Hamngatan 10 in Östersund you could see and buy my artworks at the time as you enjoy a Mespropp-cake with coffee, tea or a soft drink or whatever makes a cultural-lady or -man. Guerilla-artfare is something I introduced in the lovcal news LT a few days before opening. My prpose is to make art turn up in all conceivalble places and forms, so that people will not be able to avoid it. Two days prior to when Maja and I opened we had no idea about this, but helped our parents to carry, move and clean out Allberg Fastighetsförmedling for the entire day. I mentioned that it was a pity that I had not had the time for anything else than the cake Mesproppen for this years Konstens vecka. Allbergshallen Galleri & Konstkafé was almost to 100 % a recycable-project. The preises would have been empty, the former sign for showing of houses was turned into a "hailwer". I had made the art evebut not sold. It was paintings, prints and enamels. The splines for the art-works had been used for real estates for sale. In guerilla-art it is more important to show art in unexpected places than it looking neat and polished. We had a great audience, were praised a lote and had publicity, as well as a lot of new impressions; thank you!